University of Georgia Press, 9780820349138, 216pp. At the Dreamland, women and girls flicker from the shadows to take their proper place in the spotlight. 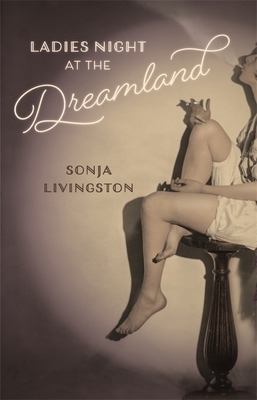 In this lyrical collection, Sonja Livingston weaves together strands of research and imagination to conjure figures from history, literature, legend, and personal memory. The result is a series of essays that highlight lives as varied, troubled, and spirited as America itself. Harnessing the power of language, Livingston breathes life into subjects who led extraordinary lives--as rule-breakers, victims, or those whose differences made them cultural curiosities--bringing together those who slipped through the world largely unseen with those whose images were fleeting or faulty so that they, too, remained relatively obscure. Included are Alice Mitchell, a Memphis society girl who murdered her female lover in 1892; Maria Spelterini, who crossed Niagara Falls on a tightrope in 1876; May Fielding, a "white slave girl" buried in a Victorian cemetery; Valaida Snow, a Harlem Renaissance trumpeter; a child exhibited as Darwin's Missing Link; the sculptors' model Audrey Munson; a Crowwarrior; victims of a 1970s serial killer; the Fox Sisters; and many more. SONJA LIVINGSTON is an assistant professor in the MFA Program at Virginia Commonwealth University. Her first book, Ghostbread (Georgia), won the Association of Writers and Writing Programs Book Prize for Nonfiction. She is also the author of the recent essay collection Queen of the Fall: A Memoir of Girls and Goddesses.